INDUSTRY.co.id - Jakarta - BPJS Kesehatan assesses the role of Bank KEB Hana very strategic to help funding Hospital and Clinic. Director of Finance and Investment Kemal Imam Santoso expects, with this financing Faskes can have operational costs or buy medicine needs of patients. "We are deeply appreciating the commitment and support from Bank KEB Hana in assisting Faskes financing in collaboration with BPJS health. Cooperation like this will encourage health services to BPJS participants will be more qualified, "said Kemal in Jakarta, Wednesday (4/7/2018). In accordance with Article 38 of Presidential Regulation no. 19 of 2016 that BPJS Health is obliged to pay Faskes for services provided to BPJS Health participants no later than the 15th of every month, 15 working days after the out-of-capitation claim document is received completely for the first level Faskes and other Faskes, and 15 working days from the document complete acceptance claims for advanced referral health facilities. According to Kemal, Faskes such as clinics and hospitals are in dire need of funds to pay BPJS Health claims quickly for healthcare needs such as medicines, medical devices, and other operating expenses. Therefore, the participation of financial institutions such as Bank KEB Hana to finance bills from Faskes is very helpful. 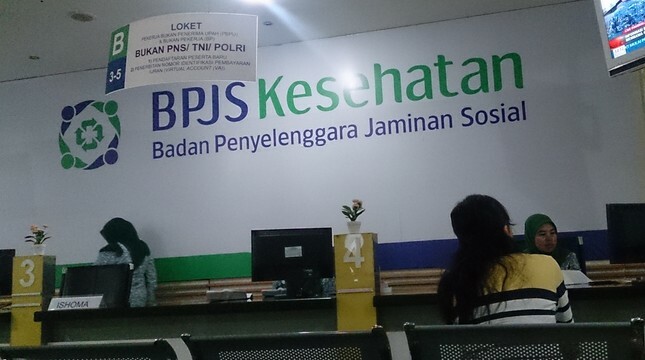 Kemal continued, after the agreement is signed, BPJS Health and Bank KEB Hana will prepare the IT system infrastructure for the delivery of approved or paid bill data. Later technically, Faskes will file a claim bill and BPJS Health will verify to grant payment approval. "After BPJS Health approves, the new bank can withdraw the loan to Faskes who has fulfilled the claim filing requirements. When the bill is due, BPJS Health will pay the obligation from Faskes to the bank. We hope that this initiative will encourage the quality of health services nationally, so that Faskes health services to the Indonesian community will improve, "Kemal said.